If you have a garden it is probably producing on overdrive right now. If you’re growing zucchini you probably have an overabundance. Lucky you! If you have ever grown zucchini you know that you can go harvest it and if for some reason you missed one, the next time you go harvest some, it will be as large as your arm. This stuff is prolific. One plant will give you more zucchini than you can possibly use. There is even a day dedicated to zucchini. August 8 is National Sneak Some Zucchini Onto Your Neighbor’s Porch Day. Looks like none of my neighbors grew zucchini this year because my porch was left bare. I had to purchase my zucchini at the market instead. The first thing I did with my zucchini was shred it in my food processor to make some muffins. I also have plans for zucchini bars in the near future. Â And the other night I sliced some and baked it with ravioli. 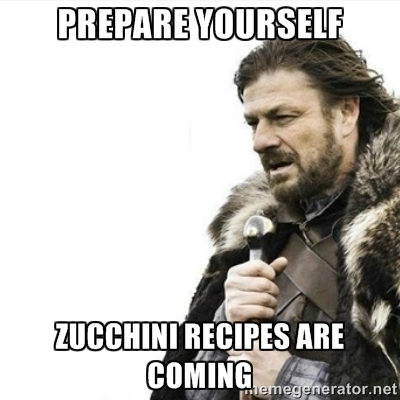 I know I am not the only one sharing the zucchini recipe love. 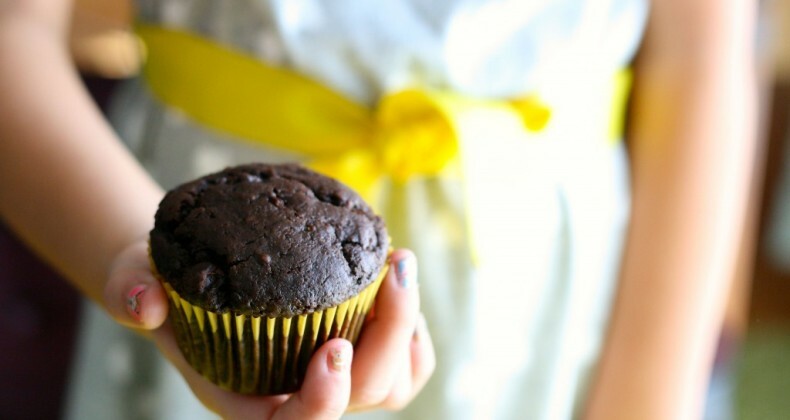 These muffins will satisfy the pickiest of eaters. That is as long as said picky eater likes chocolate. I’m sure you could bring these to the office and they would get devoured without anyone knowing they had zucchini in them. Kasper has actually been calling them cupcakes and he thinks it is awesome he gets to have them for breakfast. Pour wet ingredients into dry ingredients. Mixing until just combined. Stir in zucchini and chocolate chips. Batter will be thick. Spoon batter into prepared muffin tin. Bake for 25-30 minutes or until tester comes out clean. Hahaha, love your Games of Thrones picture – thanks for the smile. 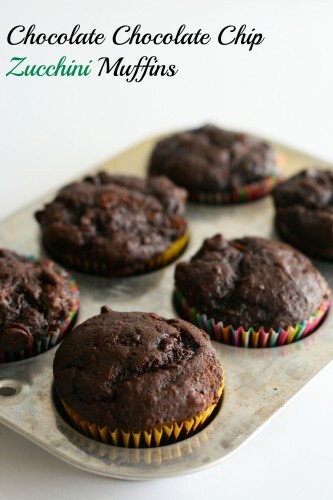 Zucchini is one thing we don’t grow but that has to change for these muffins! Zucchini would love your roof top garden! 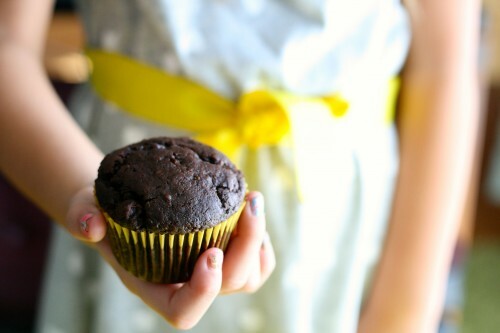 These muffins look so rich and delicious!